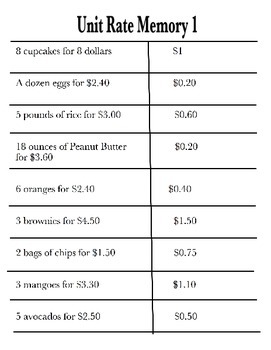 Help students learn unit rate with this tiered memory game activity. 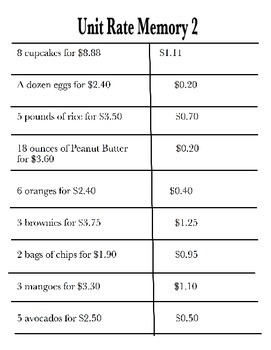 Each unit rate represents something you would find in a supermarket (example: 12 ounces of peanut butter for $2.40). 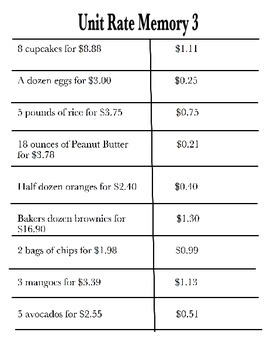 Students cut out the memory cards and match up each situation with the appropriate unit rate. 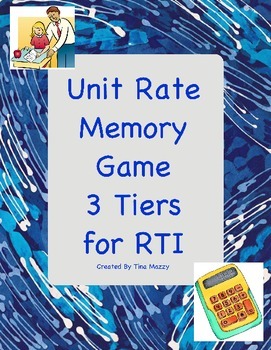 There are three sets of memory cards for 3 tiered levels of instruction. Each set includes a total of 18 memory cards.